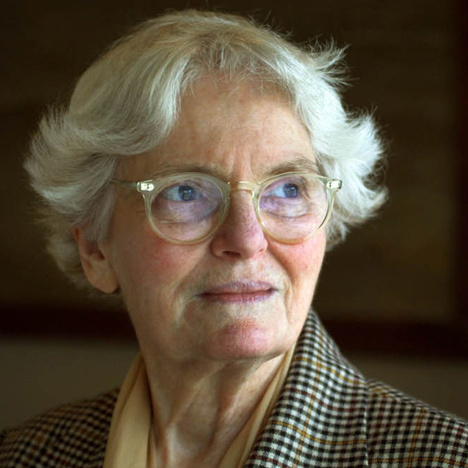 News: the Pritzker Prize jury has rejected a petition for architect Denise Scott Brown to retroactively receive recognition for the award that her husband and partner, Robert Venturi, won in 1991. Chair of the Pritzker Architecture Prize Lord Palumbo has responded in a letter to the Harvard students who started the online petition, saying that the way the jury is organised prevents it making retroactive awards. "Pritzker juries, over time, are made up of different individuals, each of whom does his or her best to find the most highly qualified candidate. A later jury cannot re-open, or second guess the work of an earlier jury, and none has ever done so," he wrote. The letter adds that Scott Brown is not disqualified from receiving the prize in future: "Ms. Scott Brown has a long and distinguished career of architectural accomplishment. It will be up to present and future juries to determine who among the many architects practicing throughout the world receives future awards." Read the full letter posted by Architectural Record here. Women in Design, a student group at Harvard Graduate School of Design, set up an online petition in April calling for Scott Brown to be recognised as a joint Pritzker Prize laureate with Venturi, and it was quickly signed by a string of high-profile architects including Zaha Hadid and Farshid Moussavi, and Robert Venturi himself. The campaign followed an address made by Scott Brown earlier in the same month, when she declared: "They owe me not a Pritzker Prize but a Pritzker inclusion ceremony." Scott Brown, 81, had been a partner at the couple's practice Venturi Scott Brown and Associates (now VSBA) for 22 years when Venturi was awarded the prize, which is considered the most prestigious in architecture. She co-authored their seminal 1977 book Learning From Las Vegas and still works at the practice while Venturi, 87, retired last year. In 2001 Swiss architects Jacques Herzog and Pierre de Meuron shared the award, while male-female duo Kazuyo Sejima and Ryue Nishizawa of Japanese firm SANAA became joint-laureates in 2010. This year's laureate is Japanese architect Toyo Ito. that might first encourage students to enter the profession to the architectural firms that must facilitate the ability of women to fulfill their potential as architects. We believe that one particular role that the Pritzker Jury must fulfill, in this respect, is that of keeping in mind the fact that certain recommendations or discussions relating to architectural creation are often a reflection of particular times or places, which may reflect cultural biases that underplay a woman’s role in the creative process. Where this occurs, we must, and we do, take such matters into account.